8.57AM: ONE of the people inside the van during the crash has been taken to Gladstone Hospital in a stable condition. Both people were assessed at the scene and were found to have no obvious injuries, but paramedics decided to take one person to hospital as a precaution just before 8.30. A tow truck has arrived at the scene of the crash. Van rollover at Toolooa Bends: Reporter Tegan Annett describes the scene. 8.30AM: POLICE have confirmed a medium-sized delivery van has rolled and left the road on Gladstone Benaraby Rd. One lane is currently blocked so that the vehicle can be towed. The vehicle is in the northbound lane at the traffic lights to Kirkwood Rd near Toolooa Bends. Two people have been able to exit the van and are being assessed by paramedics, though police are reporting no one was injured. 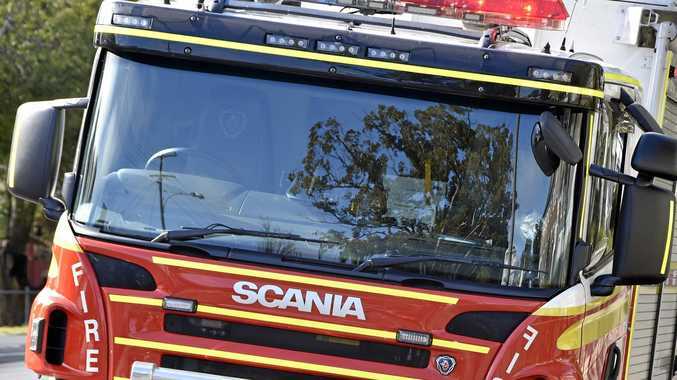 A Queensland Fire and Emergency Services spokeswoman said there was no fire and the one fire crew at the scene was sufficient to handle the incident. 8.10AM: FIRE crews, ambulance and police officers are responding to reports of a truck rollover on Gladstone Benaraby Rd at Toolooa Bends. It is unknown whether anyone is entrapped inside the vehicle. Paramedics have recently arrived at the scene.